Scent: Fresh, floral, citrusy, lighter in fragrance than neroli and slightly woody. Action: Antispasmodic, anti-inflammatory, anti-infectious, antibacterial, antiseptic, antidepressant, deodorant, sedative, nervine. Benefits, Indications: May help reestablish nerve equilibrium. It may also help with acne, fatigue, greasy hair, insomnia and excessive perspiration. Petitgrain oil can help with nervous exhaustion and stress-related conditions and in particular anger and panic. It calms and soothes the mind, while relaxing the body, easing breathing, reducing rapid heart beat, relaxing muscle spasms and stomach pains. It is great oil to use for convalescing after an illness and also for insomnia and helps to clear up a greasy skin, acne and excessive perspiration, while toning the skin. 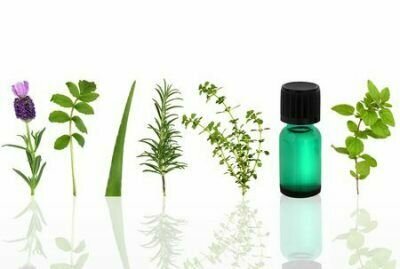 Precautions: Petitgrain oil is in general nontoxic, non-irritant, non-sensitizing and non-phototoxic. Essential Oil Composition and Biological Activity of "Pompia", a Sardinian Citrus Ecotype.